Who said its not popular? It just might not be the general theme many do, but the Supernatural theme is all the rage, or was, on TV. So I think many like it if they do not render it. Keep up the fun on the New PC. Hi Jade, how's life treating you buddy. Well, DA has lot's of supernatural fans/groups. You did an awesome one, called Something wicked, also liked The gaurdians, reminds me of game Silent hill (spooky). So, true networks abused the genre. I did mostly face portraits, cause my system had difficulty rendering scenes. Thanx friend. Try not to create more spiders, to scare my vamps, Lol !!! No comments ? Maybe I should render a tree, rofl !! Awesome ! Thanx Frank. Hopefully I can render some ideas that are DS friendly in the future. I enjoy supernatural themes. I am just not very good a rendering them. I really like the first one you posted. I think the renders have really nice lighting and the characters come to life (even the vampire!) Looking forward to seeing more. BTW, go by the thread views, not the comments. :) There are many admirers who don't like to post but who do like seeing the renders. Opps! I wondered off and Missed your Post. Sorry about that. Thank you for your kind words on my DA stuff. I'm here looking for some new stuff to see but alas none yet, not even a tree. I'll keep peeking in, you can be sure of that. Thanx friend. Your renders are fabulous to. I enjoy supernatural themes. I am just very good a rendering them. Hi Cathie, long time friend, hope life has been treating you well. Thanx, as a newbie I work'd very hard on character, still not completely satisfied, but oh well. Now I can use UE2 and Lux, will be interesting to see what I can come up with. Lot's of amazing supernatural renders at DA, very inspiring. Thanx for info, I enjoy compliments/critique, helps me broaden my horizon. Keep up the great job educating newbies. Hi Jade, not a problem friend, I know your very busy at the forums. You've been a tremendous help to me, as I progress forward, many thanx. I enjoy viewing your renders. Yeah, I had alot of saved scenes, after building new system, transferring to DS 4.6, lot's of content missing in new scenes upon opening. Real bummer. 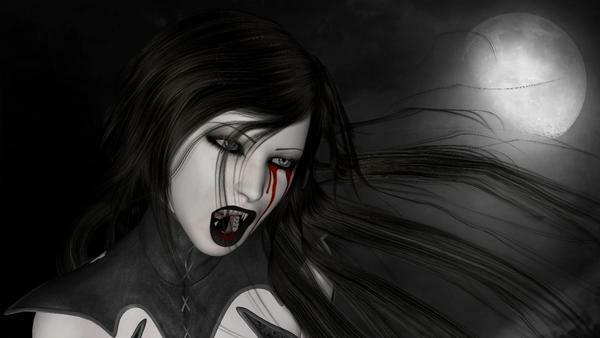 Vampires were the only renders, I saved to image, kept in seperate folder. Tried to save what I could from old xp hdd. 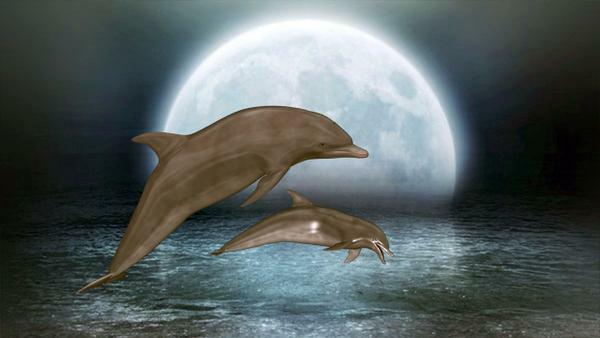 Another as a newbie last year, two dolphins and a background, 1 spotlight. Here's another last year newbie, Vamp Aubrey, 2 primitive backrgounds, 1 spotlight. Could not get her hair to render correctly, one of the questions I posted last year, anyway reason I never shared her. Vamp Aubrey looks good, I like the gray overtones with the skin as it goes with the varied tones in the scene. What didn't you like about the hair, I think it looks nice? Thanx so much Cathie, my comp was super slow last year, I could hardly render anything :-S Top half of her head is bald, not reaching her headband. I was having some difficulty last year with Armaseda hair, etc...... Now I have a hair collection, Lol !!! Drum wip. Wow ! 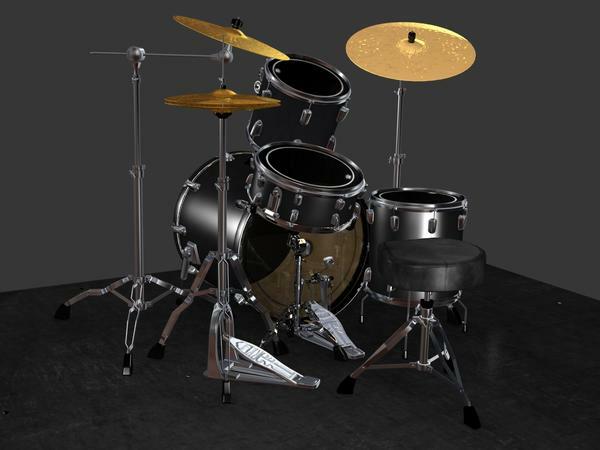 drumkit project had me crawling up walls, Lol !!!! Spent the last 2 hrs trying to get the upper tom to illuminate, still haven't figured it out :smirk: This project took UE2, fill light left, fill light right, 4 spotlights, most lights I ever work'd with. And approx 500 surface setting adjustments. First time I ever used shaders. 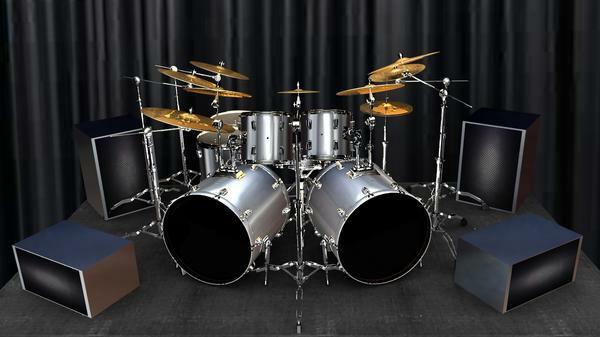 In the future, I'm going to try to replicate my personal drumkit. 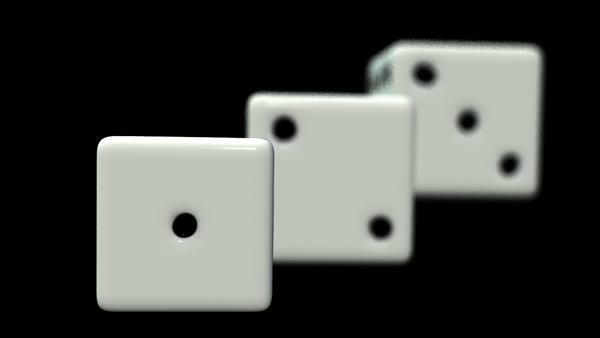 Here's another I did, learning to use shaders. This looks great. All your hard work really shows. Wow ! learned alot, working on this project. Shaders, advanced lighting, etc..... Surface tab is now my bf. 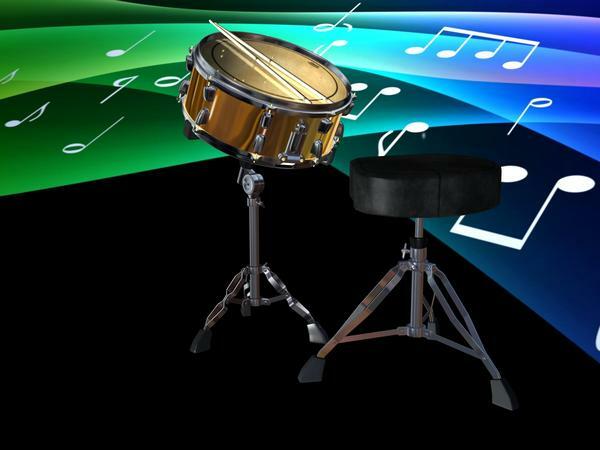 Drumkit really work'd my brain, Lol !! Major difference from first kit I rendered. I built speakers using primatives. Thinking of doing something like Terminator, my next project. I enjoy working with chrome. But you have the number spots to think about here as you don't want them glass. Do the spots have a different mat zone? I know AJ is open to some constructive critique so if we can... I will try when I can but like I said in my PM sometimes many of us find it hard to give critique and find it hard to get across a point in text. Many times I wish I could just show someone. I should learn to make vids really. A picture is worth a thousand words my Friend. So a picture showing what the words with it means or does is often the best way. I use that method in my help tips as often as possible to good effect. Poke the Pete with Idea, as I hate video Tuts. Just can not follow them. I prefer to flip to text do in DS and flip back to text for next step. The Videos just make me rewind, miss parts, and get PO'ed and close them.